Although we have been living in our house for two years now there are still a list of unfinished projects. One of those projects was making a handrail for our stairs. 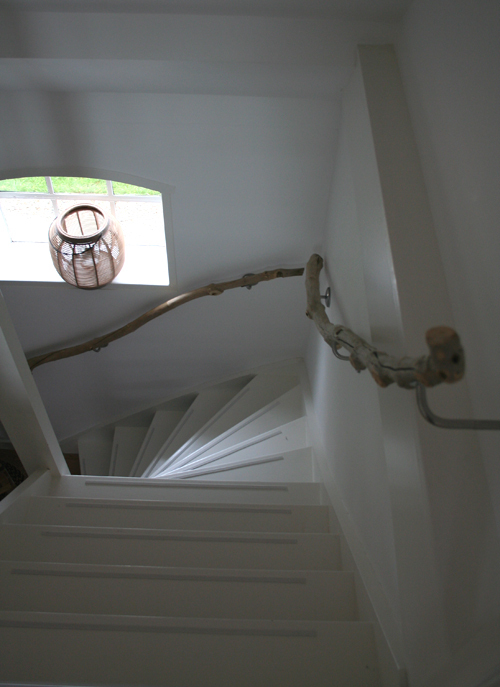 We finally finished the handrail this week and I think it is gorgeous. 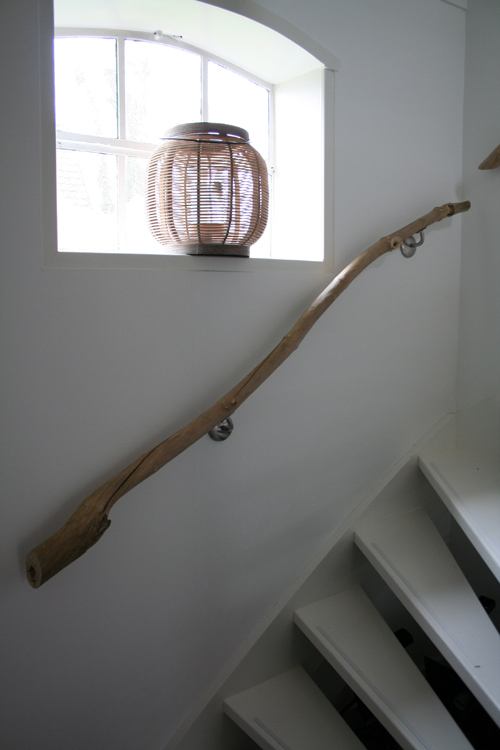 We have used branches as a handrail to add a rustic feel which can be found throughout our entire home. Carpenter Michiel helped us executing the idea we had of using branches. If you are looking for a good carpenter in the Amsterdam and Waterland region, I can fully recommend Michiel. Contact me if you would like to have his details. So beautiful, Danielle! Looks fantastic! We also have branch banisters in our house! Its so gorgeous, and I am sure it was worth the wait! Fabulous and it will just get more beautiful with time and numerous hands polishing it! So much more awesome than my totally unhip boring pine handrail…i’m copying this if i find a long enough and think enough stick! so beautiful, i am now planning to do the same, inspiring blogger you are 🙂 But the main question: where do i find such nice banisters???? Hello, i am working on setting up a website which deals with stairs and related things … is it possible to post a small picture under the picture section to show your great handrail? I will set a link to this article and post a small version of the picture if it is allright for you?! Thanks and have a nice day! you were featured on re-nest from apartment therapy! Can you pls send me the details of Michiel!! What a beautiful idea for a handrail. I love how natural yet still refined it is. kun je mij de gegevens van Carpenter Michiel sturen?